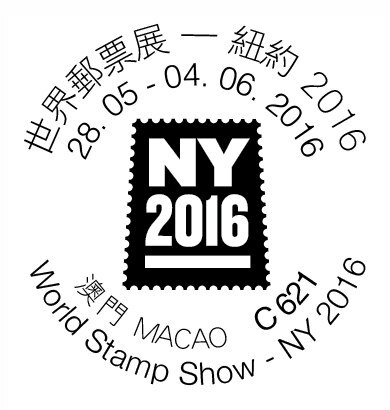 Macao Post will participate the “World Stamp Show - NY 2016”, located in New York, United States, during 28th May to 4th June, 2016. To commemorate this Exhibition, Macao Post issues the commemorative envelopes and provides the commemorative postmark cancellation service on site of the exhibition. 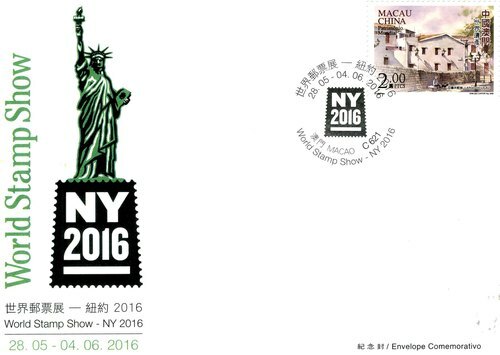 * No commemorative postmark cancellation service will be provided in Macao.